The College air hockey table features a powerful 210 CFM Commercial motor, high-pressure play field, 3-1/2" x 4" solid legs with levelers, a 1" thick cabinet and 6" aprons. Includes: 3-1/4" commercial-grade regular puck, 3-1/4" commercial-grade quiet puck and 2 solid commercial-grade mallets. 88"L x 48"W x 30"H and weighs 290 pounds. 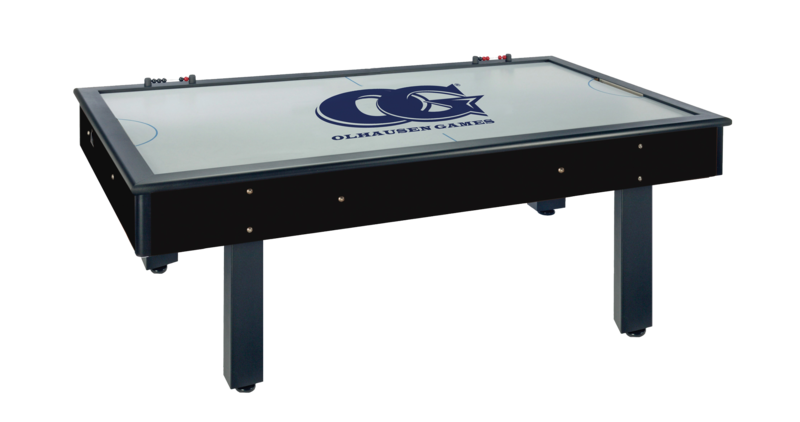 The College is a fantastic mid-level air hockey table from Olhausen Games. Affordable and stylish, yet still powerful, this table is a great addition to any family room.